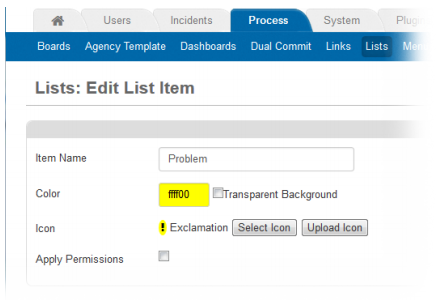 Enhanced effectiveness and expanded user capabilities: what's new in WebEOC 8.5? WebEOC 8.5 is now available and there's some fantastic new improvements and additions. Based on customer feedback, this release enhances the effectiveness of WebEOC with features that improve system tools and expand user capabilities. 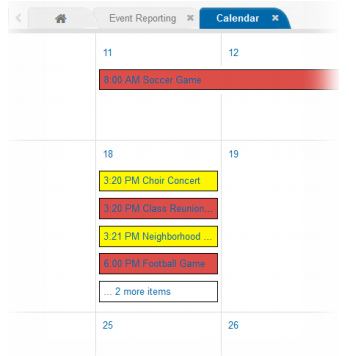 Users can now access more events from the calendar. In the month format, each day can now display up to four events. And if there's more than four per day, you'll see a message at the bottom indicating how many other events are scheduled. You can click the message to show all events for that day. Events within a given day are now sorted by their start time. Access event details by clicking the event name which opens a window that shows all the details. Improvements have also been made to the Event Reporting Board's user interface to align the look and feel with the rest of WebEOC. Thanks to these improvements and some new features, we think you'll find the board far more user-friendly. 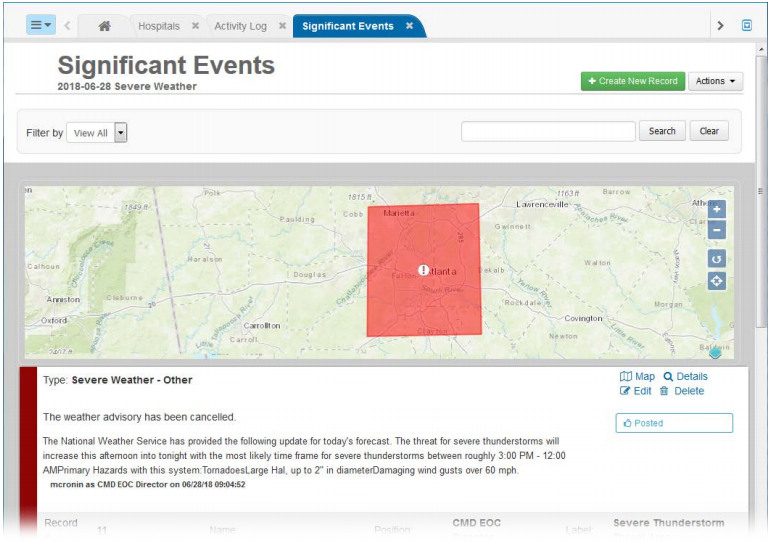 Administrators can choose to assign a new Significant Events view, which includes an embedded map. If you have the appropriate permissions, you can easily remove attachments. All updates to the record description field are marked with the user who made the change/s, their position, and the date and time of the change. High-priority entries are now red instead of orange. New auto insert tags allow you to automatically populate a board field when a record is saved with data from one or multiple fields. 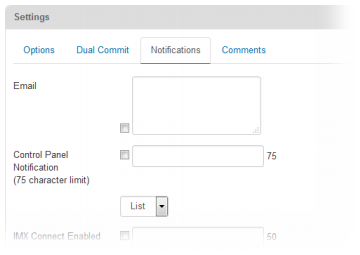 For example, it's now easier to implement a running history of comments or status changes. The new <insertfields> tag allows you to specify fields that are automatically populated when a board record is created from within a view. Likewise, the <updatefields> tag allows for automatically populating fields when a record is updated. These tags can be used only in input views. As well as the improved calendar features mentioned above for users, there are also new options available for administrators. You can specify a default calendar view for your users by adding the new view attribute to the <calendar> tag and specifying day, week, work week, month, or year as the value. Plus, you no longer have to specify width and height attributes for the calendar - the default width is now 100% and the height will resize to fit your window, minimising scrolling. Assign a new view with an embedded Significant Events map. Use default icons assigned to all views. Add to or change additional board permissions for some views. Use the new auto insert options (<insertfields> and <updatefields> tags) to mark the record’s description field with the user who made the change, their position, and the date and time of the change. On the Board Editor page under Settings: Notifications, the Email field is now bigger which makes it easier to enter a value, or view the existing value. The audit log has been enhanced to track when a view is deleted from a board. The log also specifies the user who deleted the view. You can now opt to show the top record of a child table in a board by using the sort attribute in the <relatedexpression> tag. For example, if a board’s child tables contain comments, you can use this attribute to show the most recent comment record from that table. You can now allow your users to search by values that reside in child records by adding the table attribute to individual <field> tags within the <search> tag, and specifying the appropriate table as the value. In addition, in the <relatedexpression> tag, if you add the useuserlevelfilters attribute and set it to true, the system respects any searches performed on child records. Based on feedback and requests from clients and resellers, Juvare has made a number of improvements to Maps and the Maps Add-on, enabling you to produce maps that are more informative and easier to use. You may not always want points that are in close proximity on a map to be clustered together, it can prevent you from seeing the individual points unless you open the cluster. 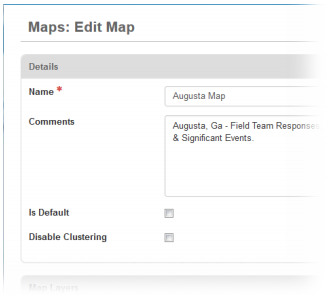 If this is the case, you can now select the Disable Clustering option in the Details section of the Maps: Edit Map page. Comments fields have been added at the map and map layer levels so you can capture notes or critical details about the particular map or layer. These comments appear to the right of the map or layer name in the Mapping: Maps or Mapping: Layers pages. A number of great improvements have been made to the administration of embedded maps. You can now enable the side navigation menu in embedded maps, which includes most standard map tools and legends. To do this, add the side-menu attribute to the <embedmap> tag, and specify enabled or disabled as the value. NB: the Annotations tools is not available for embedded maps. You can also allow users to open a view of a feature's record by clicking on that feature. It can be an input or a display (detail) view. To enable this option, add the new view attribute to the <embedmap> tag, and specify the appropriate view as the value. NB: This option is available only to clients who have the Maps Add-on. There's another important change when embedding a map in a details view. Now, when the user views the details, the embedded map shows only that record. Also, when a map has layers from multiple boards and you embed it in a board, the map shows only the current board’s layers. The Measurement tool now offers more Units of measurement, including acres, feet, and yards. The information that appears in the pop-up window when using the Find Address tool is now consistent, whether you choose to view the information by address, clicking on the map, or by coordinates. To comply with Military Grid Reference System (MGRS) standards, the MGRS field in the Find Address tool’s pop-up window now displays eight digits rather than six. NB: These tools are available only to clients who have the Maps Add-on. To improve overall WebEOC performance, when you have tabs open that contain maps, the map is loaded only when you select the tab to view it. You can specify that a list item’s icon has a transparent background, rather than a halo of colour appearing around the icon, when it is shown on the map. This is useful when the icon itself includes the desired colour. To enable, select the Transparent Background option when editing the list item. 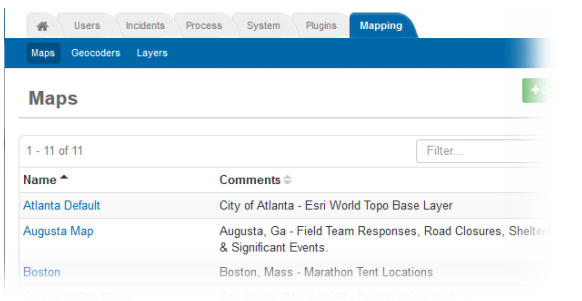 The Esri feature service layer number has been removed from the map side navigation bar, as it provided no value to users. New attributes have been added to the <feature> tag that allow you to separate the icon and status for board features on a map. For example, in an event reporting board, you can associate the icon to the event type and have the status color represent the priority. Likewise, in a building closure board, you can specify that the icon represent the type of school, for example, and the color the closure status. Define an expression in the existing status-field attribute using the new status-fieldlist attribute to determine the feature’s icon and its color. Define an expression in the new icon-field attribute using the new icon-field-list attribute to determine the icon to use. When these attributes are used in this way, the icon-field expression determines the icon and the status-field expression determines the color. An issue was preventing maps from opening properly when using an iPad Mini device. The map did not completely fill the screen, and the input view was still visible, allowing the user to interact with both the map and the input view simultaneously. This issue has been corrected. An issue was causing an activity log entry to be unavailable to the individual who created it when the Post to Significant Events option was selected for the entry. This issue has been resolved. When a user enters a date range that includes an invalid date, the system now shows an appropriate error message. An issue was preventing the Simulator tool from correctly processing sublists specified in <filterlistdropdown> tags. This issue has been resolved. Are you ready to upgrade to WebEOC 8.5 or do you have questions? Get in touch with us now!